DISC BRAKE – The Avidd BB7 Disc brake delivers reliable performance in all weather conditions with vastly improved stopping power when compared to standard rim brake systems. 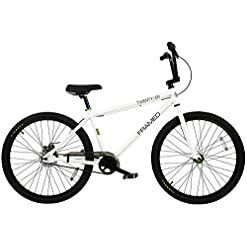 TOP TUBE – Designed for smooth and comfortable rides, this cruiser BMX bike features a longer 23.5″ top tube to provide control and stability as you ride along. 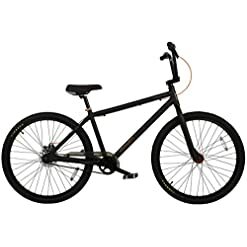 HANDLEBAR – The bike fork and handlebar are made from Hi-Ten steel and chromoly to ensure that this bike can handle impact in the front while providing reliable grip and control. You can always get older but you never have to grow up! 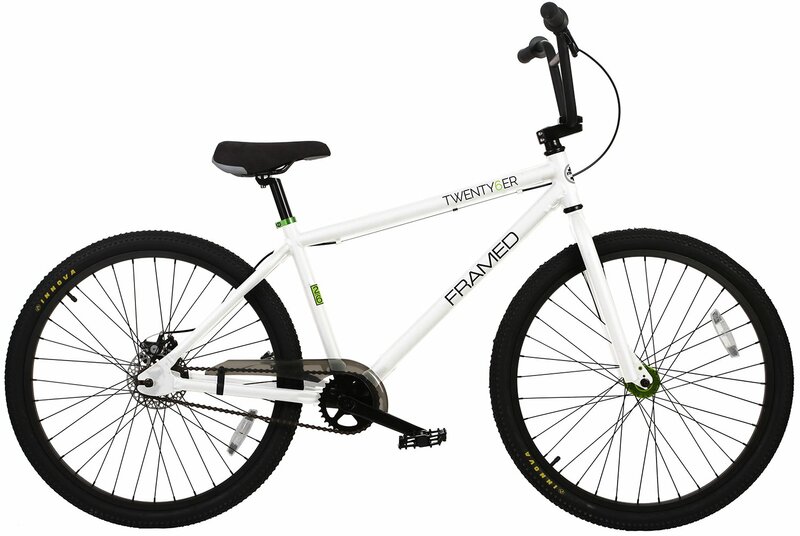 The all new Framed Trenty6er delivers all the same features of the Twenty9er but with a scaled down 26″x 1.75″ Wheel size. Hi quality Cromo Fork combined with our lightweight rugged alloy frame deliver a smoother ride while also tough remaining as nails. We wanted this bike to stop on or for a dime player, so we deployed our own Framed Rear BMX disc breaks; definitely not something you are going to see almost anywhere else. If you are looking for a big boy rig with style for miles, and features you wont find anywhere else; ya found it bro! FRAME – The freestyle geometry of the frame, combined with larger wheels, keeps this bike playful despite it’s racing roots. 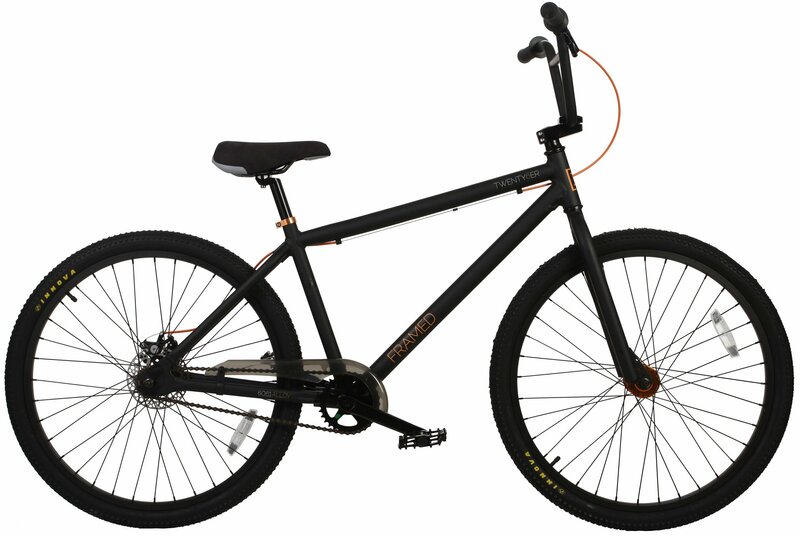 The frame is crafted using an aluminum alloy that offers a strong build while remaining lightweight.